This tape opens with the end of Eastenders. Then, four episodes from the second series of Terry Nation’s post-plague grimfest. First, it’s The Witch. Charles and Greg are working on the old mill, trying to get it turning through water power. Creepy Hubert is leching after Mina. She’s not interested. So he tells the two young children that Mina puts children in the oven, making them afraid of her. He stirs things up, and some of the villagers seem to believe that Mina is doing some kind of voodoo. It seems odd that all these seemingly middle-class people seem very quick to fall into superstitious thinking. But Mina doesn’t help things when she makes a clay head of Charles, presumably because she fancies him, and another woman sees it and thinks it’s more voodoo. It all seems sorted out by the end, though. 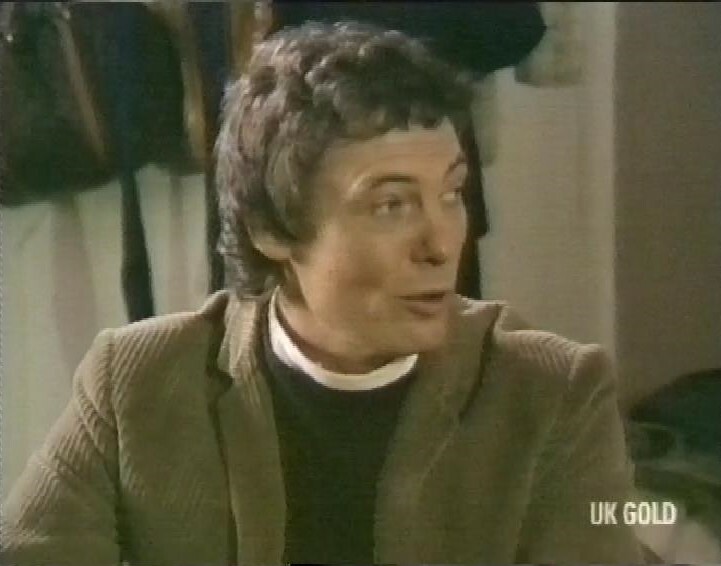 The next episode is A Friend in Need, written by series star Ian McCulloch. Oh dear, there’s a heavy breather with a sniper rifle. Charles and Greg have called a meeting of the leaders of all the local communities. They’re all a bit suspicious of motives. 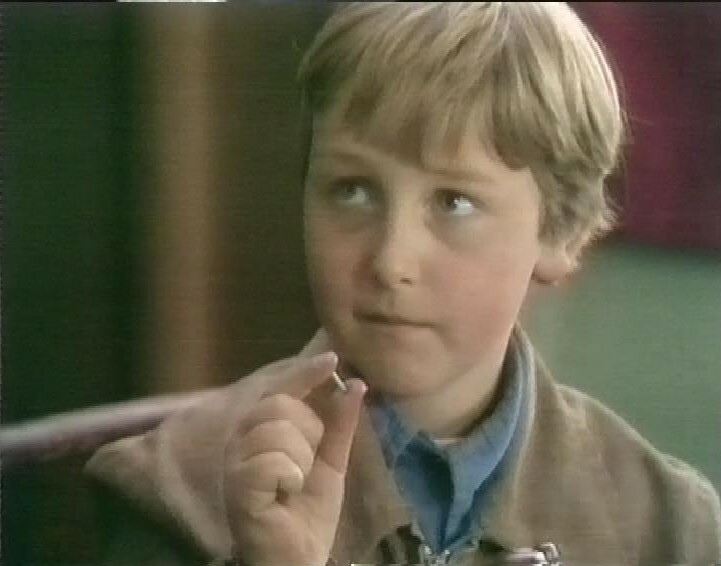 When news comes of the murder of the wife of one of the men at the meeting, Greg and Charles accompany him home, and embark on a bit of CSI Herefordshire. Eight women have been murdered recently. 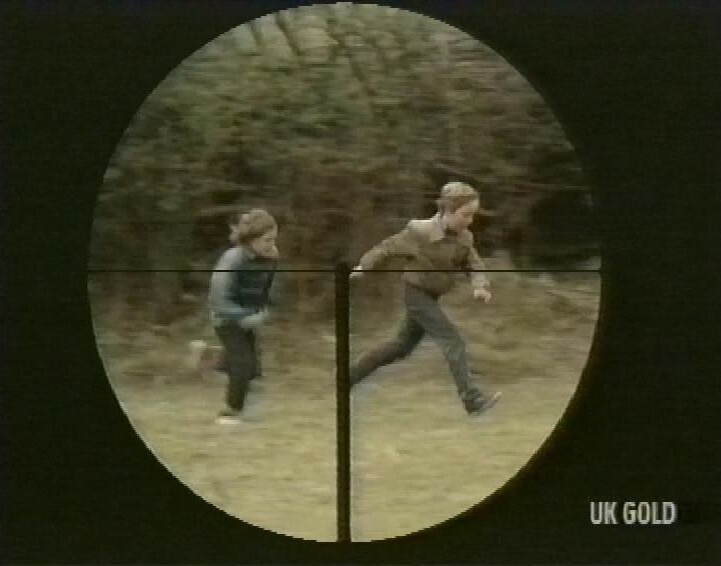 Oh dear, the two children have guns, and the little boy wants to shoot someone. This could end badly. 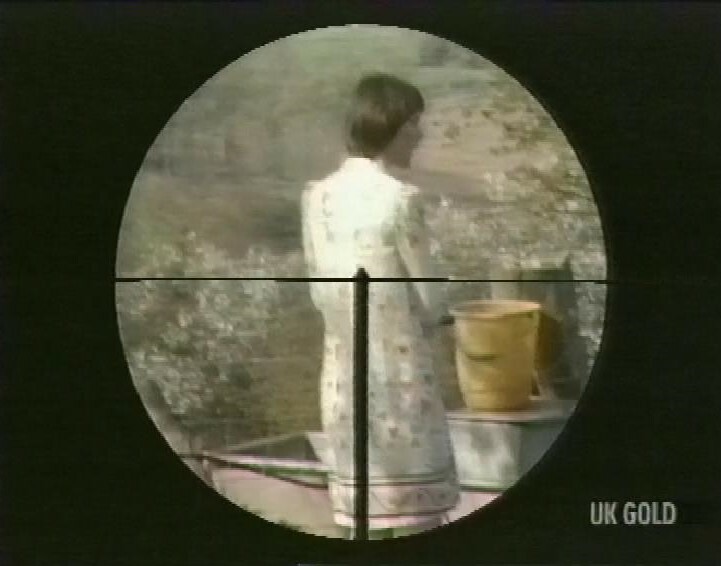 In the end, Jenny is put out as a potential target, in order to flush the sniper out. This is quite tense stuff. 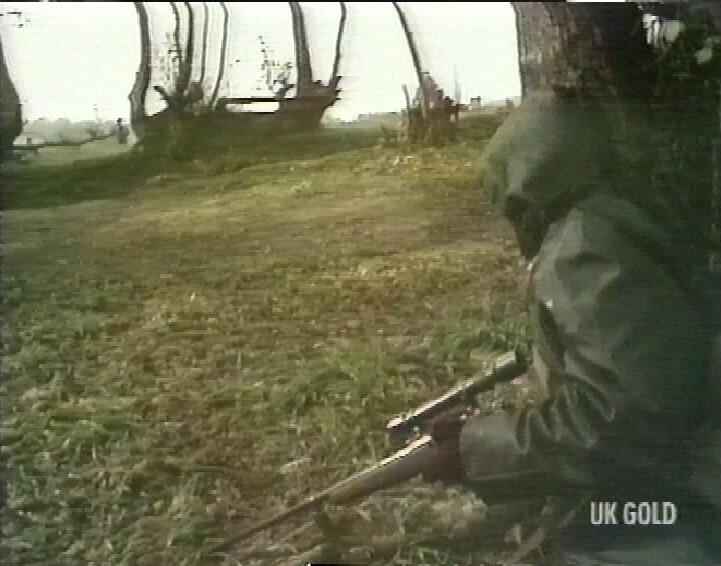 Greg spots the sniper and walks in front of his sights, so he doesn’t shoot. The next day, the villagers start beating through the woods to flush the sniper out. 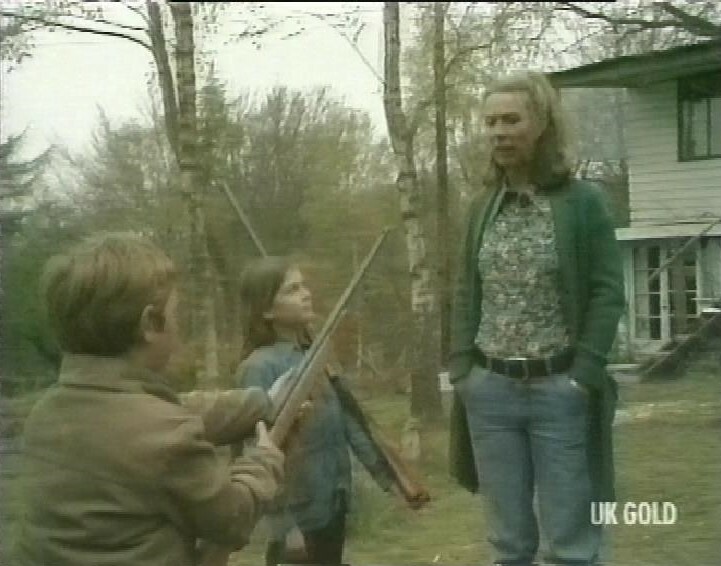 While Greg and Charles are lying in wait for the sniper, Greg intending to shoot him, the little boy tells Jenny that he was playing with the shotgun “and this fell out”. 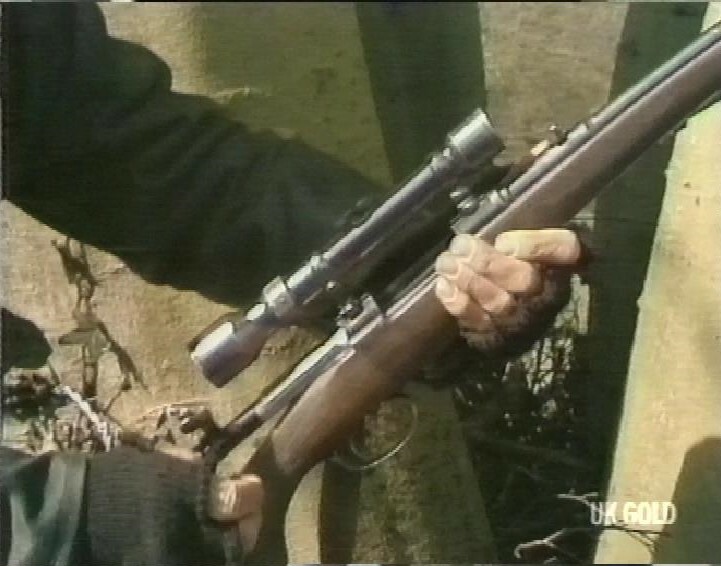 I presume it’s the firing pin or some other important component. The children run out to tell Greg and Charles what they did. It’s getting really tense now. Greg’s gun misfires, so he has to get his hands dirty. And there’s a surprising revelation at the end, as the sniper is a woman. Sadly, her motivations remain unclear. The next episode is By Bread Alone. One of the settlement reveals he was a priest before the plague. All of a sudden, everyone seems to want him to be their priest, say mass (awkward when it’s a catholic woman asking, and he’s CofE). And he seems extremely reluctant to actually act as a priest. And Greg is very unhappy that people seem to be wanting to flock towards their new priest, and ignore the important work that needs doing so the settlement can actually eat. 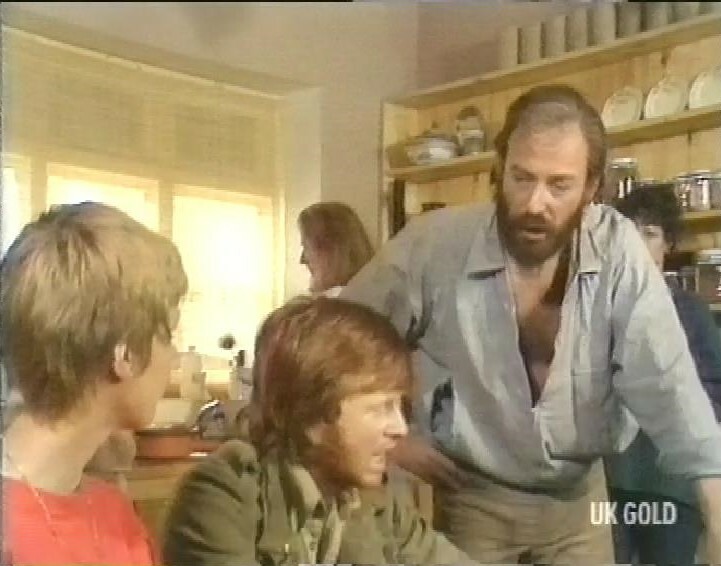 But Charles is shocked when two new young people who had recently joined them have decided to move on. They said that the community was turning into a totalitarian state, with a worker class and a boss class. Charles disagrees with Greg on this. He thinks people should be allowed to find their way in their own time, even if it’s not the most efficient use of their time or resources. I love way this show thinks seriously about the way people work together, and the practical things that have to be done. Before the next episode, there’s the end of Eastenders. 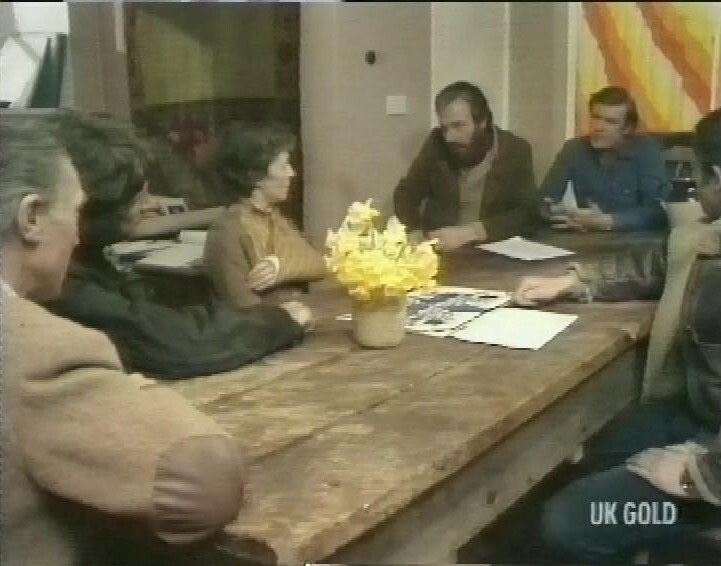 Then, another episode of Survivors called The Chosen. Charles and Pet are returning from collecting salt, and when they stop for the night, they meet another couple, a couple of young hippies. And when the hippies fall ill in the night, they have to take them to the nearest settlement, one run by soldiers. 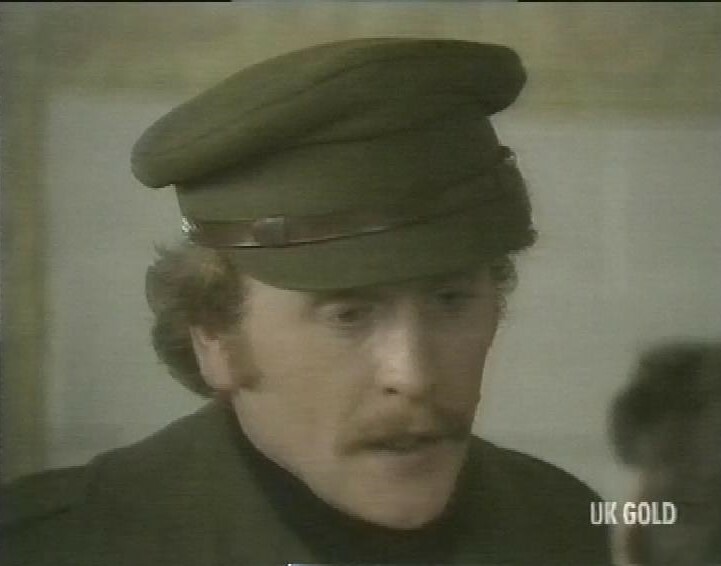 James Cosmo is one of the soldier types. They have time for doing aerobics. It’s a Boomph with Becker crossover. 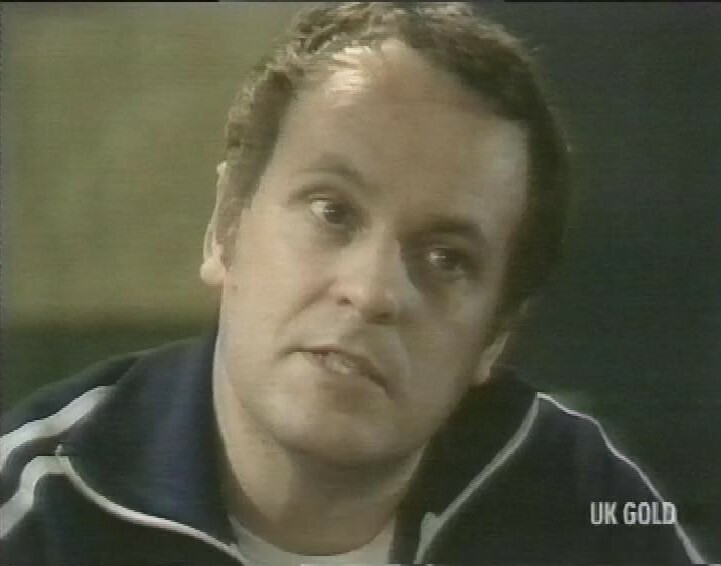 Philip Madoc seems to be in charge. They’re not impressed with Charles’ proto-marxist ideas. And the militaristic setup worries Pet. They’re also a little culty, claiming they were saved by God. 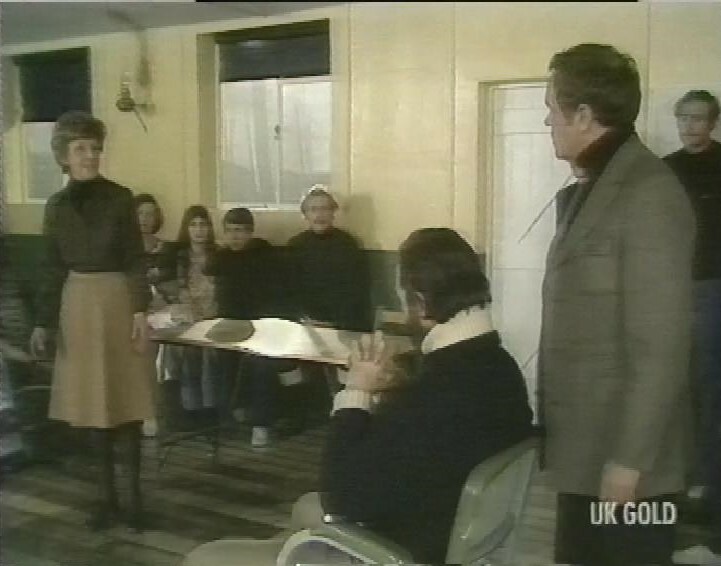 But the programme ends with a bit of a palace coup, as Madoc’s second in command, Clare Kelly, arranges to discredit Madoc when Charles speaks to their community. It’s a way to somehow temper the extremes of Madoc’s command. 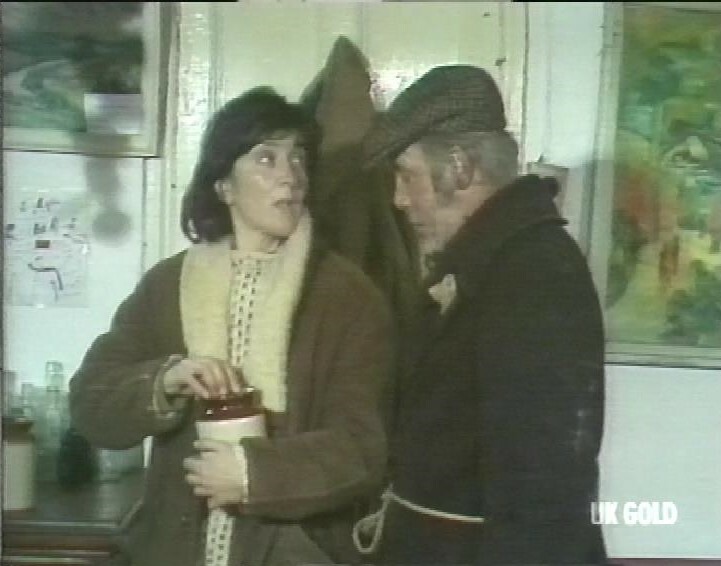 After this, there’s the start of the Ronnie Barker comedy series, Seven of One. 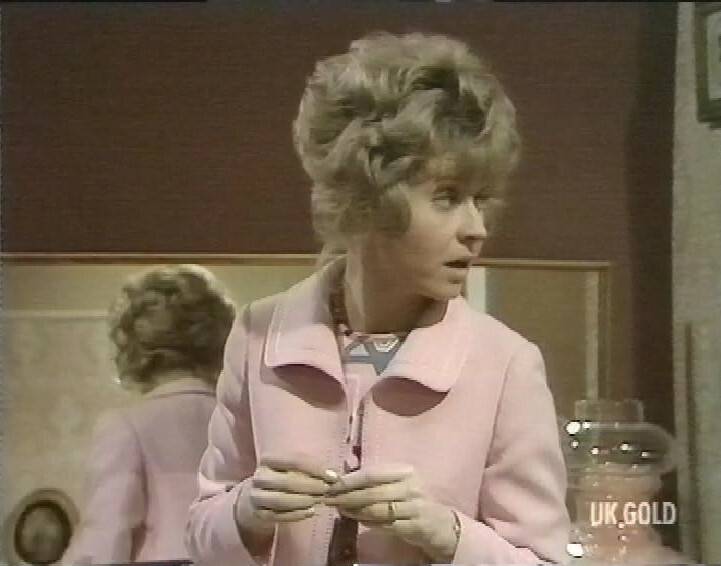 It co-stars Prunella Scales. Recording stops a little while into this, and underneath there’s an older recording of The Bill. The tape ends shortly after.